4children2enjoy Ltd has many years experience of providing educational activities not only for children, but also for adults. 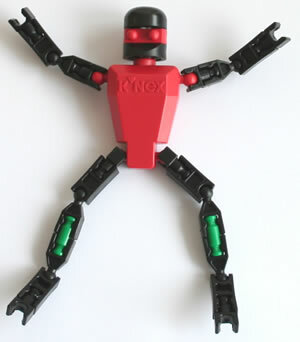 In 2004, we launched the not-for-profit K'NEX User Group, which supports users of the K'NEX construction kit worldwide. to email us. If this "Click here" link does not work on your computer, please email us via andy @ knexusergroup.org.uk, first removing the spaces in this email address. Email is our preferred communication option, as emails enable us to provide the highest possible level of service, at all times of day. We used to also make our telephone number freely available on this website, but sadly this led to an increasing volume of nuisance calls. If you are UK-based, we would still be pleased to discuss your K'NEX project with you by telephone, but we would ask you to email us first, so that we arrange a telephone discussion at a mutually-convenient time. Many apologies for any inconvenience this may cause. 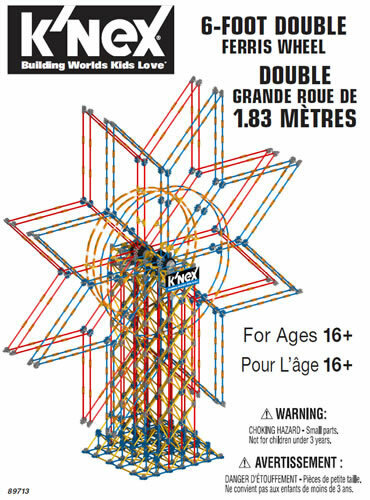 Please also note that we are not able to assist with requests for missing K'NEX parts by telephone. You will need to visit Missing Parts for this. 4children2enjoy Ltd has many years experience of providing K'NEX-based educational activities and products, for all ages. Our customers include families, nurseries, primary schools, secondary schools, libraries, museums, colleges, universities, family learning centres, childrens clubs, childcare schemes and private companies. 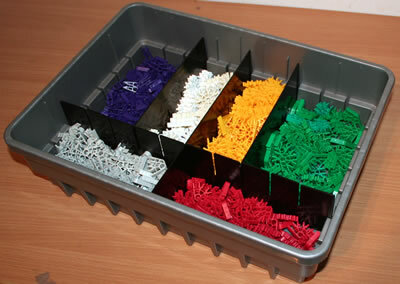 The photo shows the Packing area for our stock of 2 million new K'NEX parts. 4children2enjoy Ltd is privately owned, financially sound, with no debts, and low overheads. This enables us to offer our products at consistently low prices all year round. The income we derive from sales of K'NEX sets and parts helps to pay for the development of the free K'NEX resources on this website, and the free email support we provide to K'NEX users worldwide.